Amazing to understand the inner workings. 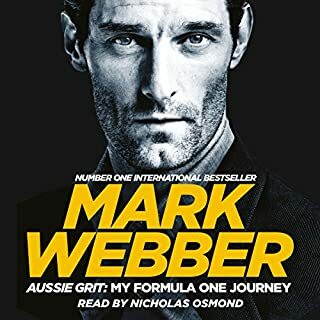 this story change my perspective of Mark Webber. Great story of a life only one could dream of. Over the past two decades, Life in the Fast Lane has grown to become a true staple of Formula 1 literature. 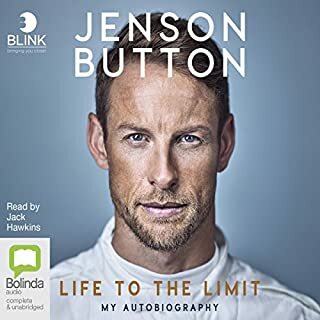 In essence a monthly diary of a Benetton grand prix mechanic, this essential book gives a behind-the-scenes account of daily life in the trenches of F1 during the tragic and turbulent 1994 season. 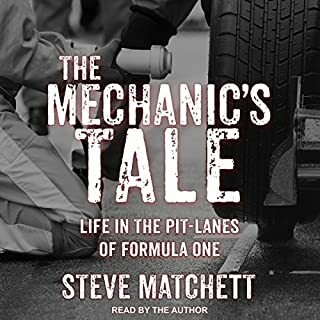 By use of his enviable signature talent, his ability to explain complex issues using straightforward, uncomplicated language, Steve Matchett shows us how the various F1 teams have arrived at their current state-of-the-art designs - lays out exactly how a championship winning grand prix car is assembled. The Chariot Makers is Steve Matchett's third book. 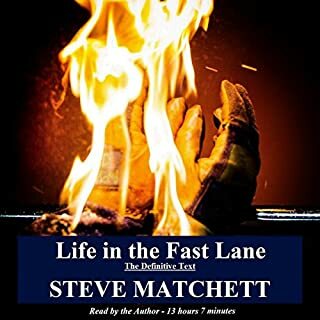 Along with Life in the Fast Lane, and The Mechanic's Tale, this compelling, insightful story forms the final installment of the author's entertaining, timeless, and highly acclaimed Formula 1 trilogy. The greatest duel in Formula 1 history: the 1976 season between Austrian Niki Lauda and Britain's James Hunt. As the '75 season ended, Hunt was out of Formula One racing while Lauda was world champion and the odds-on favorite for '76 with a year's contract ahead of him and Enzo Ferrari begging him to sign a multi-year deal. James Hunt, without a drive until Emerson Fittipaldi broke his McLaren contract, grabbed the McLaren drive with both hands and the help of friend John Hogan. The result? Two drivers in an epic 16-race battle across the globe for the '76 title, ultimately decided by a single point. A humble and yet highly accomplished man who overcame a severe handicap. Phil Hill, a lowly California mechanic who, defying all expectations, became the first American to win the Grand Prix championship. In the tradition of Seabiscuit and The Right Stuff, Cannell’s high-octane narrative evokes the lives of the daredevils who tempted fate each Sunday by driving well over 150 mph without benefit of seat belts or roll bars. No driver has ever made such an instant impact on the sport of Formula 1 racing as Lewis Hamilton. The first black grand prix driver, his astonishing level of success in his rookie season together with his swash-buckling, attacking style has created a sensation. It has also been a central factor in the most exciting and controversial season of F1 in living memory as Hamilton was involved in a three-way fight for the world crown. Industrial espionage, claims of team favouritism and some stunning on-track action have peppered Hamilton's first season in the sport's top category. 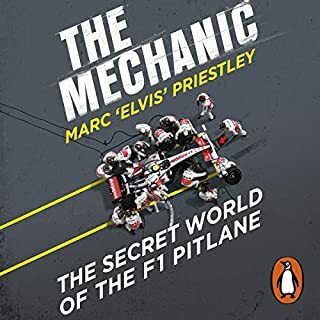 Here is the in-depth story of this phenomenon - from his upbringing on a Stevenage council estate to the day he first sat in a kart as a seven-year-old, to his sensational challenge on the world title. 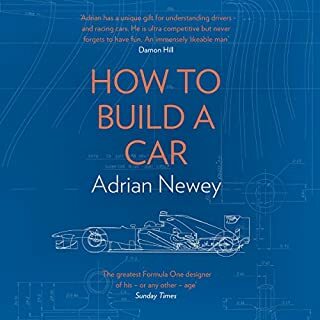 Friends, colleagues, team-mates, rivals, chaperones, and engineers who have worked with him here give some remarkable insights into Lewis the man and the driver, as well as into the close but complex relationship with father Anthony, the man who has largely steered his career. In the process, we see how F1 success has changed this young man's life in a very short space of time. Includes an exclusive updated chapter covering the 2008 World Championships up to the end of the season. 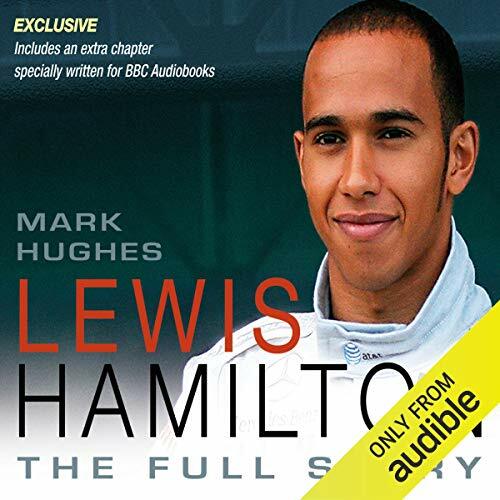 ©2008 Mark Hughes (P)2014 Audible, Inc.